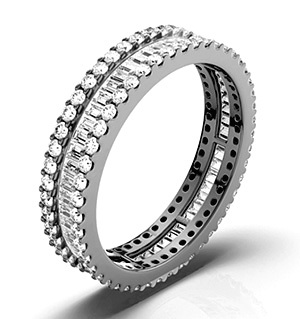 Sterling Silver & CZ Half Eternity Ring A beautiful ladies sterling silver and cubic zirconia ring, half eternity ring design. 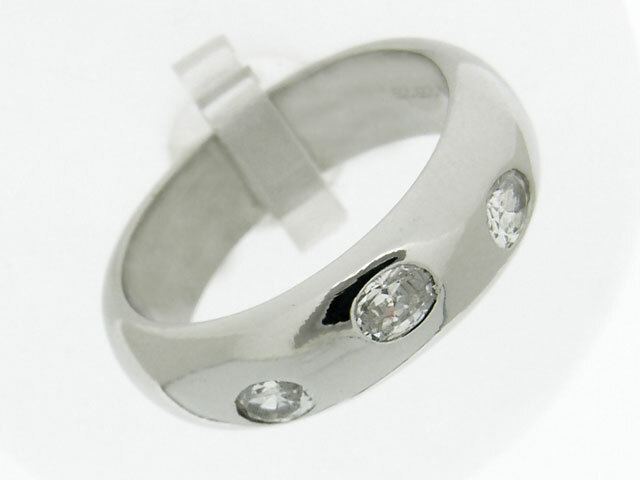 The polished silver ring band has three lovely cubic zirconias set in the centre of the sterling silver ring band. Boi Ploi Black Spinel (2.00 Ct),White Topaz Platinum Overlay Sterling Silver Ring 2.500 Ct.